At the Johnston Law Offices, we have dedicated our careers to standing up for the rights of our clients. We are available to apply our knowledge and experience to a wide range of personal injury and criminal defense matters. From work injury cases to motor vehicle accidents, our law firm is dedicated to helping you get compensation for harm that was caused to you by another person or business. 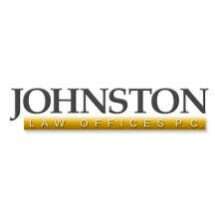 The Johnston Law Offices offers legal services to people throughout Illinois and Missouri, including Metro East Illinois, the Illinois Riverbend area, Edwardsville, East St. Louis, Collinsville, Belleville, Glen Carbon, Troy, Alton, Jerseyville, Wood River, Granite City, St. Louis, Clayton, St. Charles, and all cities within Madison County, St. Clair County, Jersey County, Macoupin County, Bond County, Monroe County, Clinton County, St. Louis County, and St. Charles County. We are available to assist people injured in accidents on any of the area's streets or interstates, including I-55, I-70, I-64, I-255, I-270, Highway 159, and Highway 157.